This is a collection of images that are held by archives, libraries and other collecting agencies and institutions to do with the establishment of Kununurra and the Ord River Irrigation Area and the construction of the Ord River Diversion Dam, officially started 50 years ago in 1961. 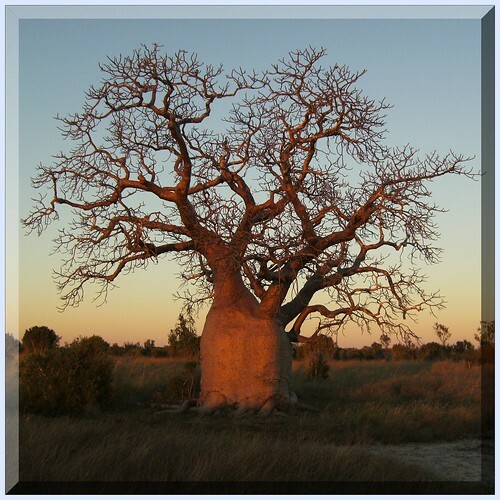 This includes the involvement of Wyndham in this development, in the East Kimberley Region. Other Major events, were the completion of the Ord River Diversion Dam, the Royal Visit (March) and opening of the AIM Hospital, and later opening of the dam by Prime Minister Robert Menzies (July), all in 1963. The first farmers arrive 1963 -1966, Rice, Cotton, Safflower and others. The decision to build the Main Ord River Dam is made in 1968 and first filled in December 1971 and officially opened by PM William McMahon in 1972. Help the Kununurra Historical Society Inc. Archive, Library & Museum, to celebrate with the world community, by making accessible collections, to show the "significance" of 50 Years of Kununurra and the start of the Ord River Project and 70 Years of Tropical Agriculture on the Ord. With a very young, but incredibly unique development and history of just 50 years in 2011, the Ord River Irrigation Area (ORIA) - Ord River Project was just getting underway in 1961 - At this point in the evolving history of Kununurra, the Kununurra Historical Society Inc. (KHS) Archive & Museum would like to call on Archival Institutions to check your collections for references to the Ord (See our 10 Keywords - though there should be many others) and help make accessible the images and share in these anniversaries with the people of the world. Has your archive got images of the Ord? Be part of this use of Flickr for Accessibility. NEW to Flickr? - Group Keywords to Use - Metadata? - General Group Rules. More information if you are NEW to Flickr. If possible create the following new tags and add them to each image, where applicable as follows. ALL images eligible for the "Ord History in Archives" Group Pool are also eligible to be submitted to the "Kimberley History in Archives" Group Pool. 2. KHIA for the "Kimberley History in Archives" Group Pool. 3. "YYYY-MM-DD-Place-Name-or-Event" - The year and date the image was taken if known - if not known use a guestimate year at least. and add circa AFTER the DATE. eg. 1966-circa-Ord-Cotton-Festival or with this tag you can use spaces however the first dashes between date and place is crucial. Keep dashes between YYYY-MM-DD-Place-Name. OR Add quotation mark here "Year MM DD Place-Name Rest of Placename and Description" then close off area with spaces with the final quotation mark. (All TAGs with spaces in Flickr must have quotation marks). Use inverted commas to include spaces eg. "1961-03-21-Diversion Dam Construction - From the west bank"
Anything you like could be added after the place name, such as event or activity or your archive number, even though this is a separate tag for each KHS image and within metadata within the image. KHS is experimenting with making this tag the "Title" for the image, to "kill two Birds." Add these tags along with whatever other tags you like, when uploading your images or edit later before uploading to the Ord History in Archives Group Pool. In Flickr tags are space separated but words can be joined by using inverted commas. KHS has started using tags that are valid for how KHS would like the tag - history experiment, that you are contributing to by using these tags in any images uploaded to the group pool. Examples using spaces and inverted commas. "1961-05-Concrete Gantry DOB-Collection KHS-2011-2-j-P2-D-10" [Note that a dash is to link the date to the place between 1961-05 & Concrete and inverted commas enclose the whole tag. The first dash between year and place can be replaced with a space using inverted commas. These tags will help sorting for the KHS tag experiment. You may find it useful to review ALL KHS Tags at - www.flickr.com/photos/khs-museum/alltags/ to see how useful they can be to describe your images accurately. There is no need to re-format images as in Flickr you can simply "Append" (Add on to the end of), any tags you may already have in batch operations. Also please edit your images in Flickr to show a correct "Date Taken" - Choosing the approximate date option in Flickr allows eg. circa 1960 or "Some time in 1961"
1960 "1960-11-Pilot Farm Flume" HYLIK HYLITK "Northern Developments" "Ord River"
The better "tagged" the image is with IPTC metadata "Keywords" the more likely it is to be found in relevant search engines. If your organisation is a Not For Profit you may be eligible for Multiple FREE Pro 1 Year Accounts for about a 4% administration fee - Read More about that at www.kununurra.org.au/ Look for "Attention Non Profit" As an example one of two offers in Australia offers 5 x Free Pro Accounts (Normally about $25 each) for $12 TOTAL! (Now that is cheap for (5 x accounts) allowing unlimited MB size and unlimited uploads for five individuals in the organisation. 1) Join flickr - if you aren't already a member. 2) Join the "Ord History in Archives," Group Photographic Pool. You'll need to have at least 5 photos in flickr before it will appear in a public group. These don't have to relate to this project and can be private if you don't want anyone to see them. 3) Upload your image and a description to flickr. (Unless you already have the IPTC metadata in the image, then you will not need to fill in a description and you will also be able to skip the next step. About IPTC Metadata to save you time! Some more on tagging images using IPTC Metadata BEFORE you upload which will save having to fill it out on Flickr. The IPTC Metadata is information about the image that is saved within the image, so that when you upload, there is no need to fill in the details, it is all done because Flickr can read the metadata as the image is uploaded and fills in the Title, Caption, Date Created Copyright and various others IPTC Fields available. KHS has been using free software called IrfanView, which has always had very good "batch" file handling to manipulate multiple images and for multiple naming, with various wildcard features. Since being involved in the KHS digitisation program and then getting involved using Flickr just before the end of December 2010, I have been using IPTC Metadata features much more in IrfanView which allows "lossless" jpg. operations (meaning no image data is changed but the IPTC Metadata is safely stored in the image without changing the structure of the image file). Once theIPTC Metadata is in an image any derivatives (ie. Images made from that original with the metadata, are derivatives from that original, like the various sized images that Flickr automatically makes from the one image you upload), will contain all of the IPTC Metadata (even tiny thumbnails). So it helps to identify the image as yours via the Copyright in the metadata. The batch processing of multiple image files in one hit, saves much typing to do images on an individual basis. Yo van download the very useful IrfanView from here and I will soon create and have a link to a tutorial about Batch IPTC operations. That's all there is to it. Easy! Hope you join and if you do.